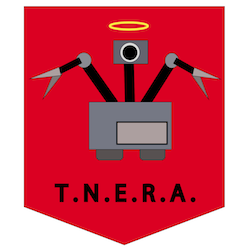 It is a work in progress, but works well to get all of the robot fantasy out of your head. I am building this "robot" with mostly parts from recycled printers and some 3D printed parts. It is using an L298N as the motor controller. 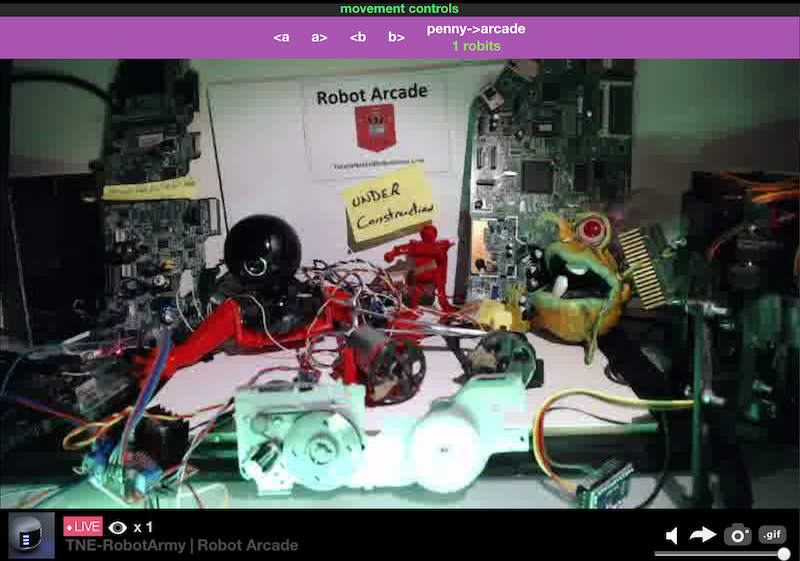 All driven by a Raspberry Pi that is streaming video and controls between it and the LetsRobot.tv servers. I will be using MQTT to pipe commands from the server to various computers controlling the scene. In the first boot strap days, it was 'challenged' by the 'internet' robot operators. my motors were not secured and were dancing around the scene. Actually somewhat fun. 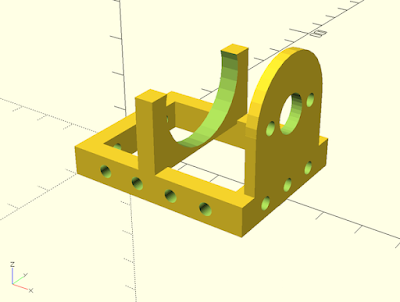 Today I put together this motor mount design and will be using it to build out the Arcade. I don't quite know what I will do with this yet, but I would like it to be some form of a remote robot - 'game of skill'. it is fun to see some form of a battle or skill challenge performed by the remote operators.